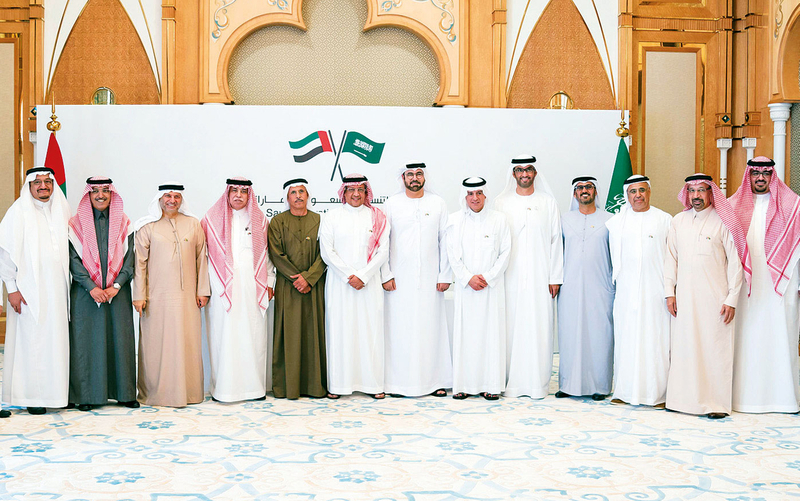 The Executive Committee of the Saudi-Emirati Coordination Council has announced the launch of seven strategic initiatives, according to a statement released on Saturday. The joint-committee, headed by the UAE’s Mohammad bin Abdullah Al Gergawi, Minister of Cabinet Affairs and The Future, and Saudi Arabia’s Mohammad Bin Mazyad Al Tuwaijri, Minister of Economy and Planning, met in Abu Dhabi to announce the initiatives. which cover how the two countries can integrate services and financial markets, tourism, aviation, entrepreneurship, customs and security, among others. “The committee’s first meeting further enhance the integration in issues of common concern,” said Al Gergawi. “Our end goal is to make the Saudi and Emirati citizens work hand in hand having common aspirations towards a bright future”. Mohammad Al Tuwaijri said the Executive Committee’s meeting represents an important breakthrough, a real development, and an effective engine for the Council’s work. The Executive Committee of the Saudi-Emirati Coordination Council council was established according to a cooperation agreement signed between the two countries in May 2016 to serve as a platform for coordination and consultation on vital issues of common interest.